Paricutin Cathedral – Photo credit: Daniel Tapia. Some rights reserved. 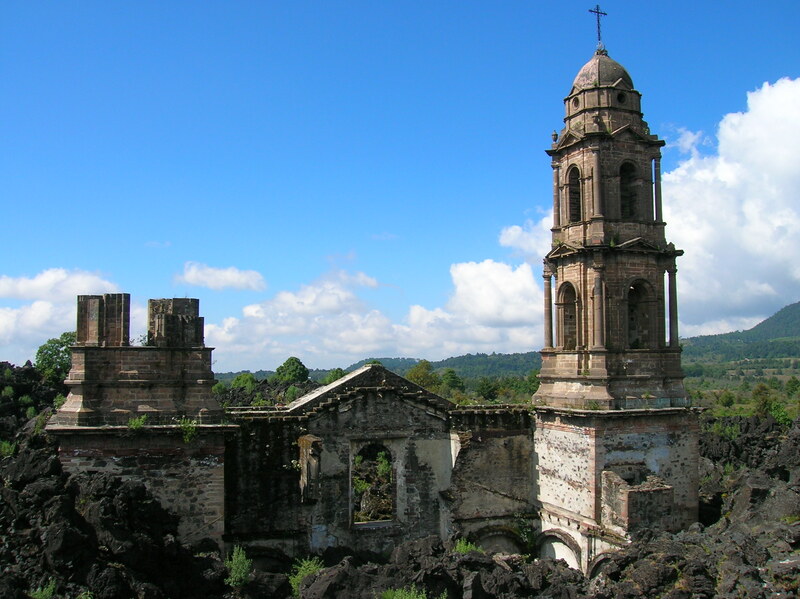 In 1943, two Mexican towns were consumed by a sudden yet gradual volcanic eruption. All of the townspeople’s lives were spared, together with most of the nearby cathedral. hissing, “You did not lay me low. around my brother and me. with three walls and no top. as a slow avalanche of fire. And were there ever miracles here? not a single soul lost her life? as the women who loved him weep. that sits proudly atop the northern spire.